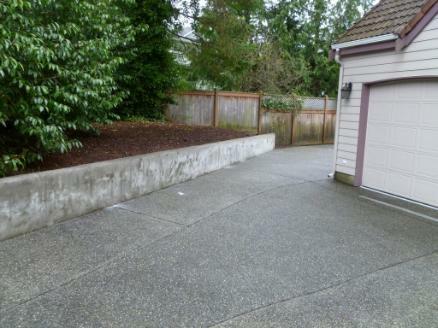 A Fine Reflection Pressure Washing Services The pictures below represent the dramatic improvement that our Seattle pressure washing service offers. Keeping your concrete surfaces clean and moss free not only protects your investment from further damage, but also minimizes the risk of injury from falling on the slippery surfaces. 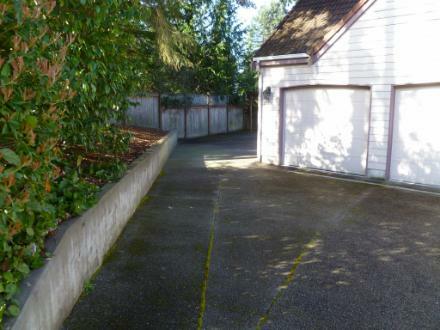 Our pressure washing service for flat work (driveway cleaning, sidewalk cleaning, etc.) is based on a per square foot price with a $100.00 minimum. Pressure washing or soft washing your home or building is based on a per square foot price with a $100.00 minimum. With the soft washing approach, we use a soft bristled brush linked to a garden hose to gently scrub away the accumulated dirt, cobwebs and debris. Please let us know if you have any drainage problems around your home as A Fine Reflection will not be held liable for blocked or poorly functioning drain lines. We make every effort we can to keep debris from going down drains during our cleaning process. An example of the above would be basement stairwell drains and downspout drain lines.